Good afternoon! I hope you are all staying warm today. This last minute cold front has certainly brought winter back in full swing. 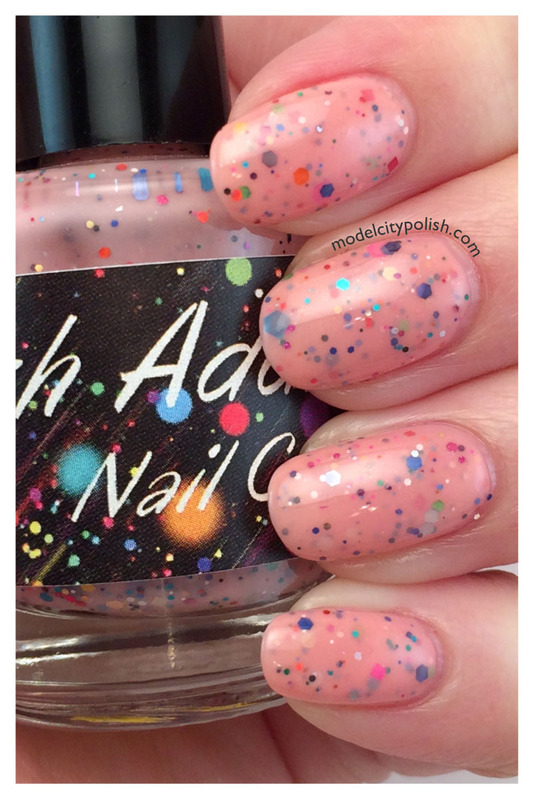 To warm things up I thought this would be a great time to share Polish Addict Happy Birthday. I am in a Polish Addict fan group and as a thank you Laura and Crystal send out monthly birthday blend to their fans and customers. 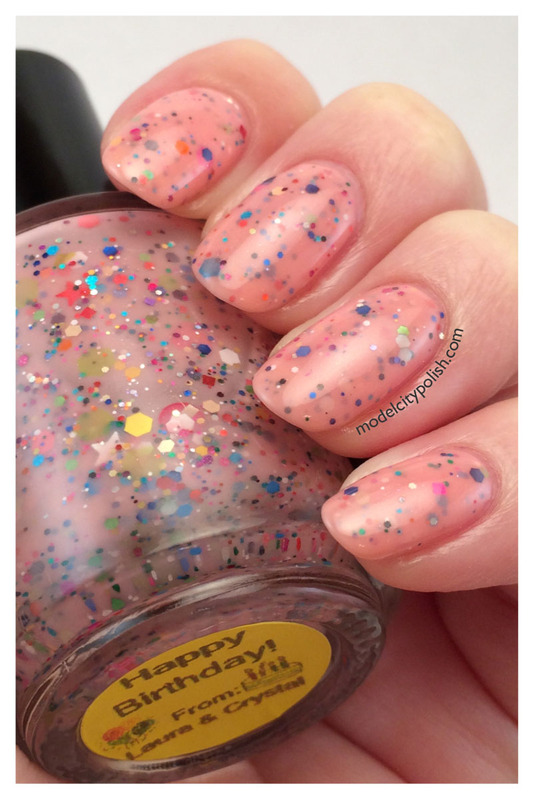 Happy Birthday (September 2013) is a wonderful peachy pink crelly filled with various size, shapes, and colored glitter. 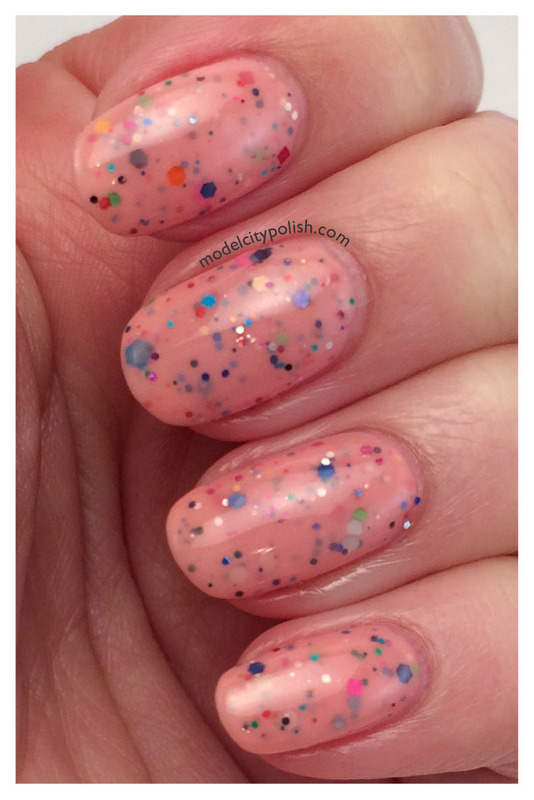 Just like all Polish Addict blends, it is perfect. 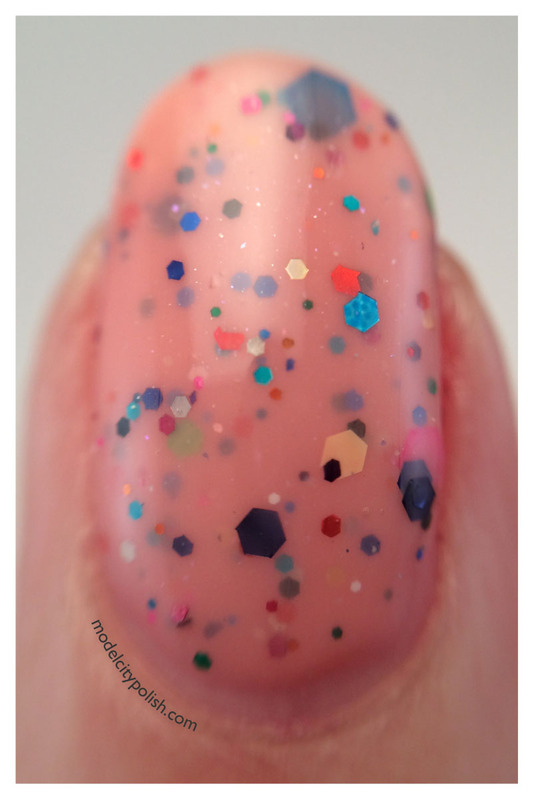 Glitter distributed perfectly and the coverage was fantastic. 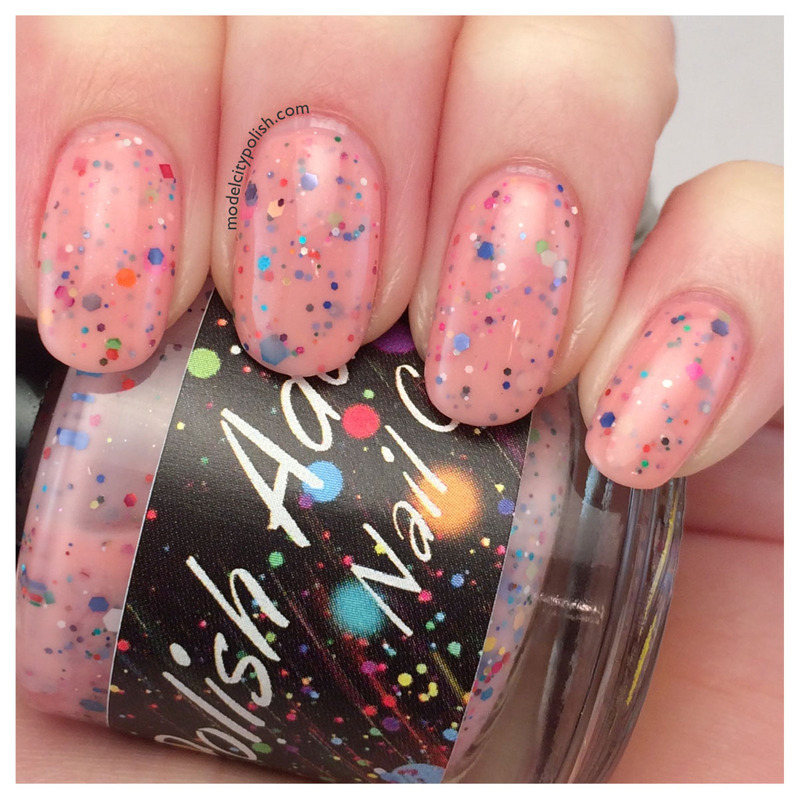 In my photos I am wearing three coats of Happy Birthday and then sealed it with a coat of Gelous. I like it a lot! 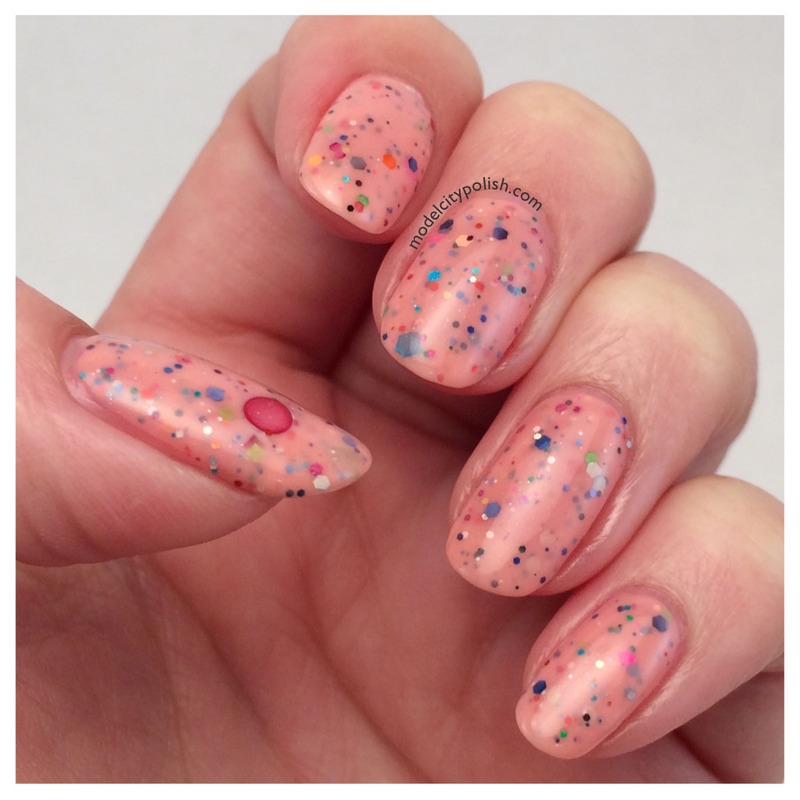 It’s like when you have strawberry ice cream and funfetti cake, and they mix together.